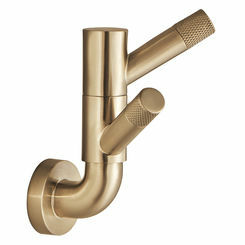 PlumbersStock.com is proud to bring you Brizo, a company dedicated to style and high-fashion. They feel that there is no reason to sacrifice style for function and they deliver the sleekest products of the highest quality. 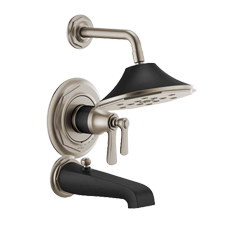 We offer an extensive inventory of Brizo faucets and parts, from timeless and chic to bold and daring. 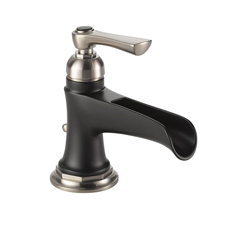 Here are some of the great features of Brizo faucets. As Brizo is committed to creating sleek, new styles, they have a fashion-forward line with nine styles to choose from. 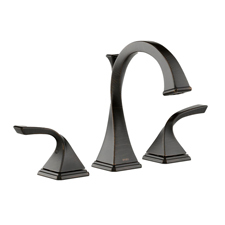 These Brizo faucets come in a wide variety of models. You can find single-handled for ease of use and free up your counter space. They offer double-handled varieties for the classic look and added temperature control. 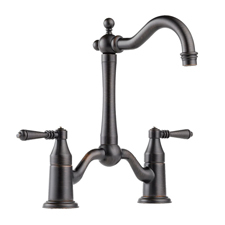 They also provide pull-out faucets to facilitate rinsing off big dishes or filling up large pots. 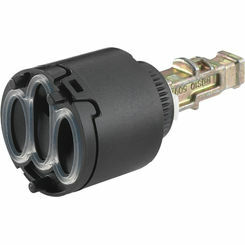 You can find wall mounts, counter mounts, high arching spouts, thin spouts, round spouts and everything in between. Brizo is the place to go to meet your faucet needs. Brizo kitchen fixtures are trending because of how stylish they are. These faucets are sweeping the industry. 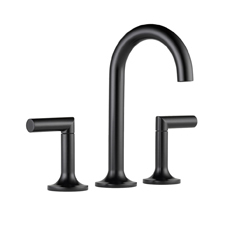 With sleek and creative design, that is somehow simultaneously simple, Jason Wu Brizo faucets have made their mark. 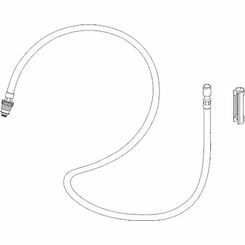 PlumbersStock carries three different models with single-handle functionality for the lavatory. 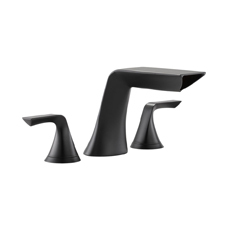 The handle design itself is what sets these faucets apart from the competition. When working in the kitchen, laundry room, or bathroom, you often find yourself with your hands full or messy with no way to turn on the faucet. 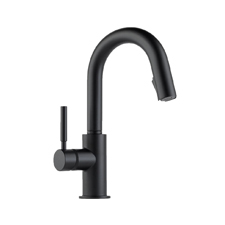 A Brizo faucet with Touch2O technology offers the solution! By just a simple tap on the spout, the water turns on automatically set to the last setting that was used. The faucet can also be used like a regular faucet, meaning you can adjust the temperature with the handle. The faucet automatically turns off after four minutes, and with the simple touch-on touch-off system, it helps you to conserve water as you are working. This Brizo faucet installs just as any other faucet would, without the need of an electrician or plumber. It is an excellent choice for any home. H2O technology sculpts water into a wave pattern unique to Delta, creating an entirely new showering experience. 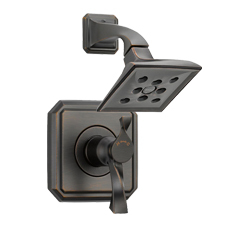 If looking for a Brizo bathroom fixtures for your shower, this is a nice option. The water is led through a series of chambers that make the water oscillate which allows the water to come out in the waves. This technology makes the drops of water bigger, and the heat stays within the droplets longer. The most significant benefit is that you feel like you are using more water when in actuality you are using less. These shower heads come in both stationary and pull out varieties. Brizo is committed not only to high-quality products but products that help to save the money in your wallet and help the environment as well. Their water-efficient products meet CalGreen standards and help to save you up to .7 gpm (gallons per minute) with Brizo kitchen faucets and up to 2 gpm with showerheads and handshowers when compared to the industry standards. They were awarded the prestigious WaterSense partner of the year award in 2011 for their outstanding support of the WaterSense program, and its advancements in water conservation features. Brizo is a company dedicated to bringing you the best kitchen fixtures and bathroom products in a style that will inspire and excite. 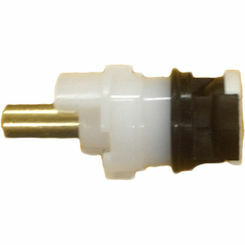 Conveniently check out Brizo faucet parts here at PlumbersStock.com and feel free to call or contact our professionals with any questions you may have. Learn more at Brizo.com.